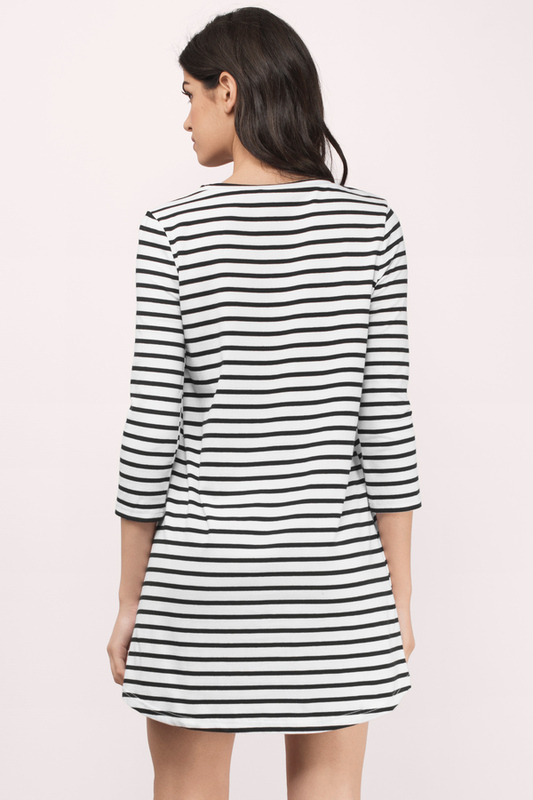 Check out Tobi's Partner In Crime Striped Dress Horizontal stripes: always top of our list. 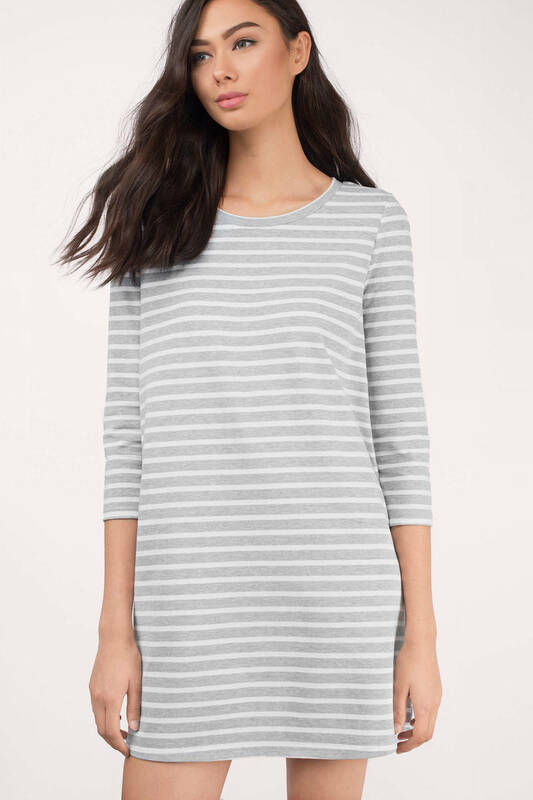 In a stretch cotton knit, the Grey & White Partner In Crime Striped Dress has a scoop neckline and 3/4 length sleeves for a casual daytime look. 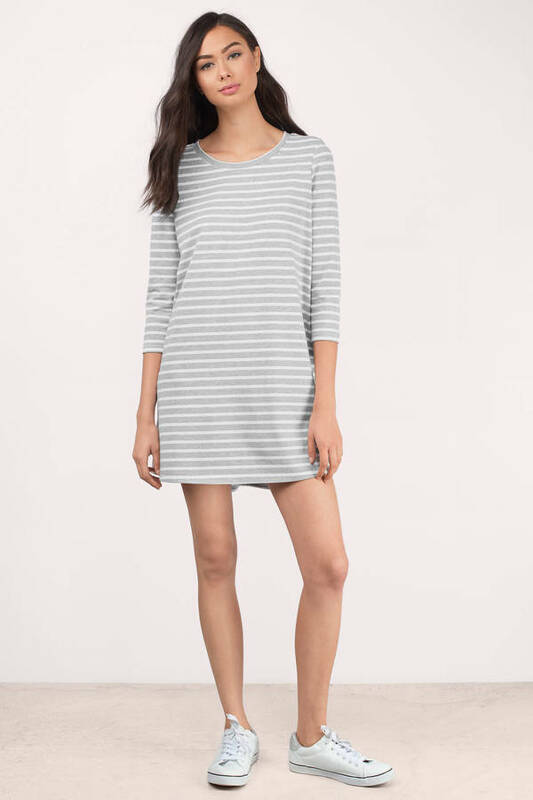 Pair this t-shirt dress with booties for your weekend coffee runs. Horizontal stripes: always top of our list. 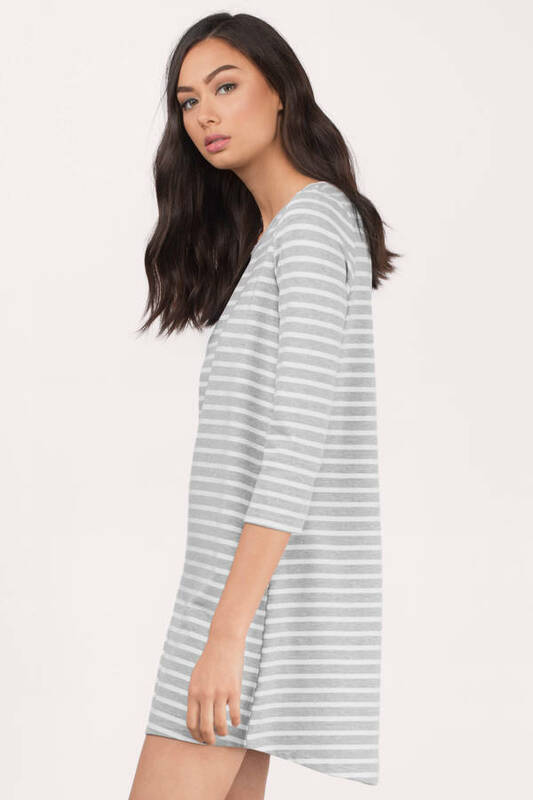 In a stretch cotton knit, the Grey & White Partner In Crime Striped Dress has a scoop neckline and 3/4 length sleeves for a casual daytime look. 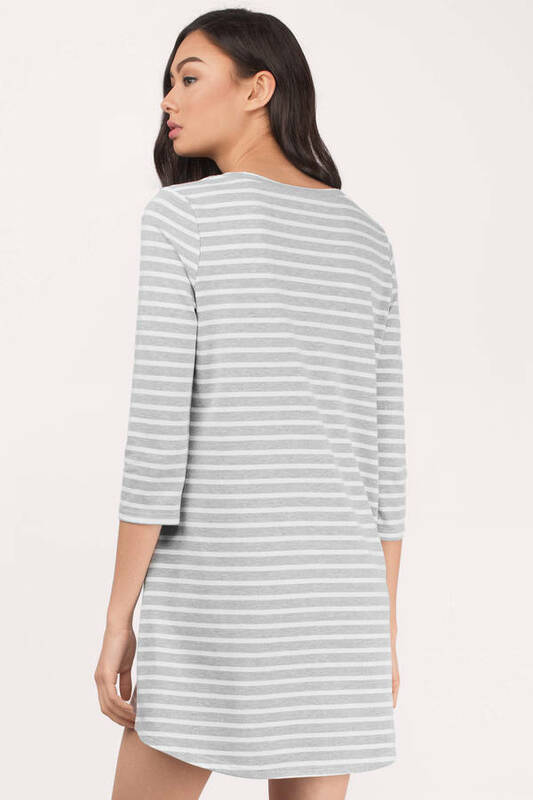 Pair this t-shirt dress with booties for your weekend coffee runs. Horizontal stripes: always top of our list. 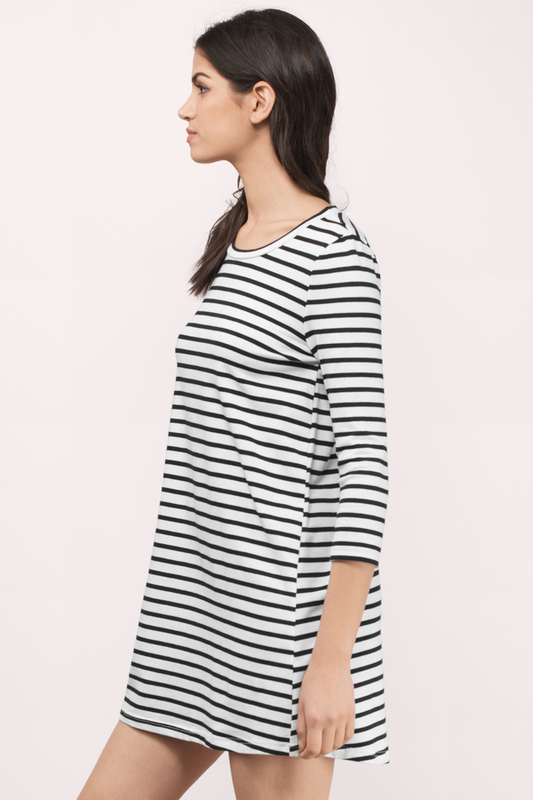 In a stretch cotton knit, the Black & White Partner In Crime Striped Dress has a scoop neckline and 3/4 length sleeves for a casual daytime look. 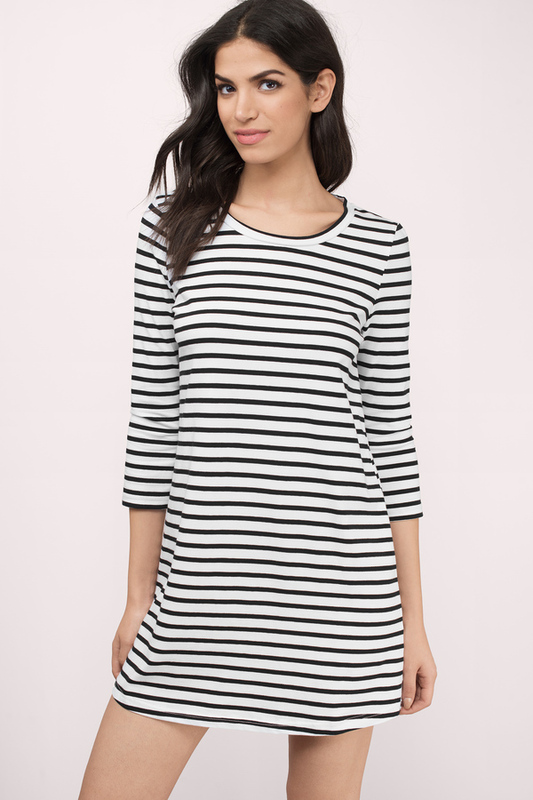 Pair this t-shirt dress with booties for your weekend coffee runs. Model's profile: height 5’10", bust 32", waist 24”, hips 34"